We’re taking and sharing more photos than ever, but even the most skilled photographer is likely to produce a dud or two, and even the best shot straight out of your phone camera could stand to be better. So a photo editing software is a must have. There’s no doubt that Adobe Photoshop remains, hands down, the best photo-editing software on the market. But unless you’ve undergone formal training, Photoshop proves a difficult program to master, and is expensive to use. Today I will introduce several free useful photo editing software. GIMP is a fully loaded image editing software. 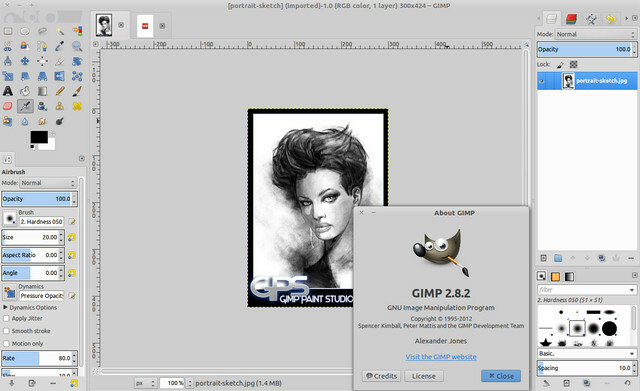 Whether it’s basic editing or advanced functionality, GIMP can handle everything. It has a customizable interface, and the functions are separated into multiple modules that can be shown/hidden individually shown/hidden as per need. Paint.NET‘s simplicity is one of its key features; it leaves it a fast, easy to operate free photo editor that’s perfect for those little tasks that don’t need the sheer power of GIMP. 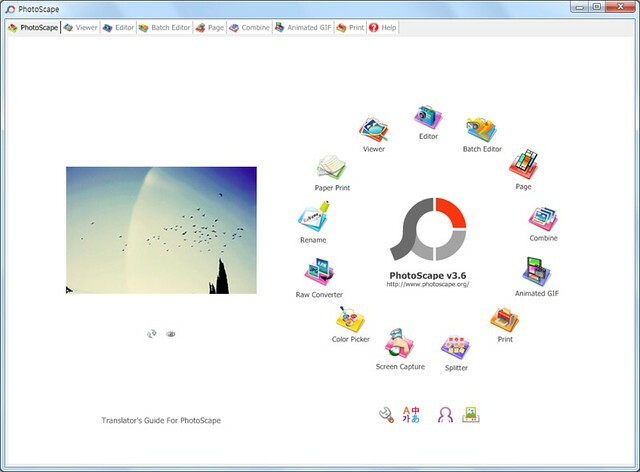 PhotoScape might look like a rather simple free photo editor, but take a look at its main menu and you’ll find a wealth of features: raw conversion, photo splitting and merging, animated GIF creation, and even a rather odd function with which you can print lined, graph or sheet music paper. 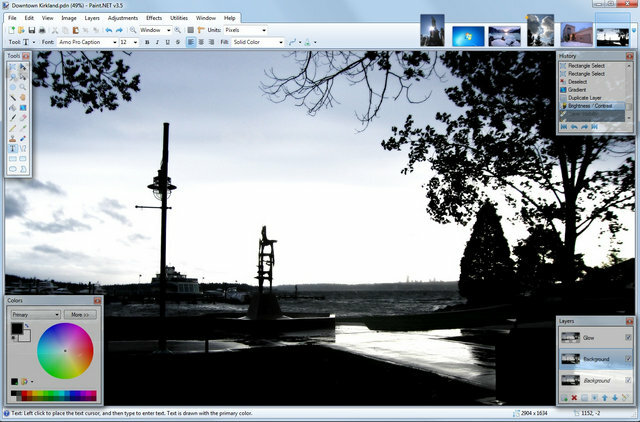 FastStone Image Viewer can fully handle everything from basic editing to semi-advanced operations. 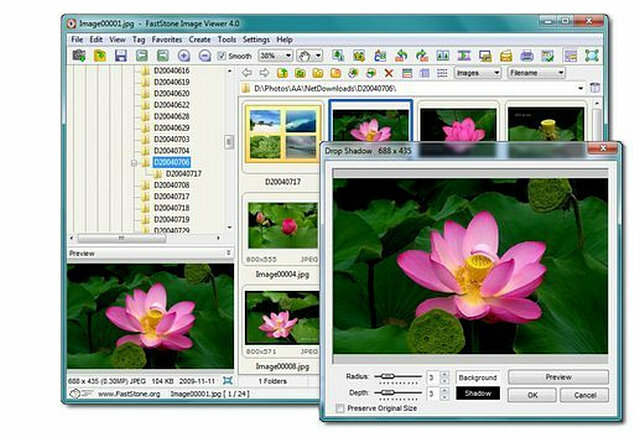 Not only that, FastStone Image Viewer also comes with image management features, such as tags, and drag-and-drop copy/moves support. You can create slideshows with over 150 transition effects, and even acquire images from scanners. Fotor is a photo enhancer first and foremost, more than it is a photo editor; if there’s specific area of retouching you need doing with, say, the clone brush or healing tool, you’re out of luck. But it includes a stack of high-end filters that really do shine. Great information! I wil dowload them. Thanks for sharing! I use free IrfanView for quick and batch and combining images, free Picasa for catalog, auto batch tweak, still screen grabs, and upload to the web. Adobe Photoshop for editing by area within an image, older free versions are out there, some with released serial numbers from Adobe, I like simple 7. I have hundreds of photos in my 20 year old Picasa. Google took over the entire Picasa system and I can no longer print any color photos from Picasa with any program I have. I am told that when Google took over Picasa the programers concluded that no one prints their own photos on their own printers anymore so they did not include a path for color printing in the Google Photo system. Can Fotor solve this problem and allow me to print my own color digital photos on my own printer?